The rigid version of the Japanese handheld fan is called uchiwa and is made of paper and bamboo. It is reminiscent of a gingko leaf’s very particular and beautiful shape. 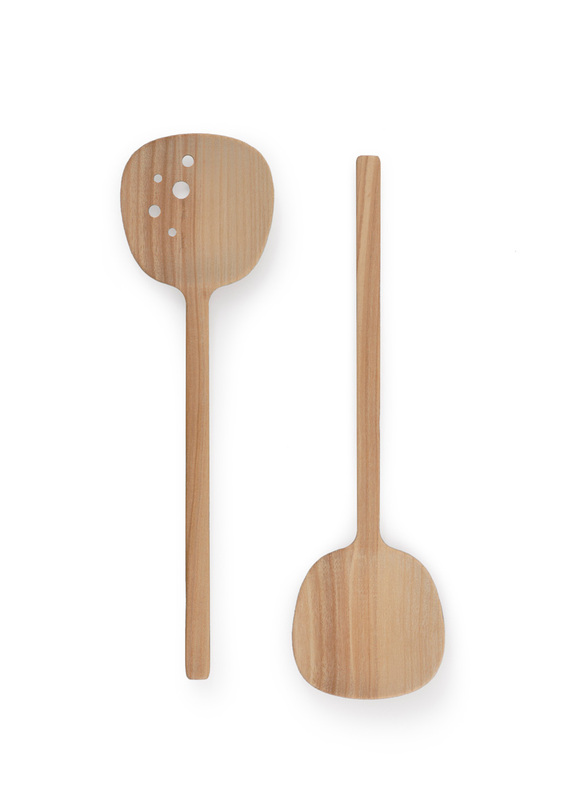 The uchiwa was the inspiration for this set of salad servers. 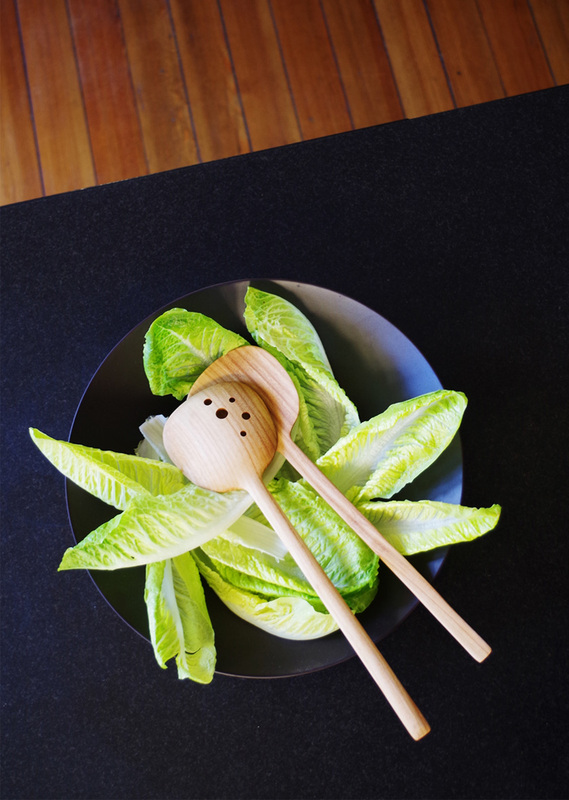 Wood adds a texture that prevents the salad from slipping out of grip. For added functionality one of the bowls have drilled holes to allow excess dressing or rinse water to escape.